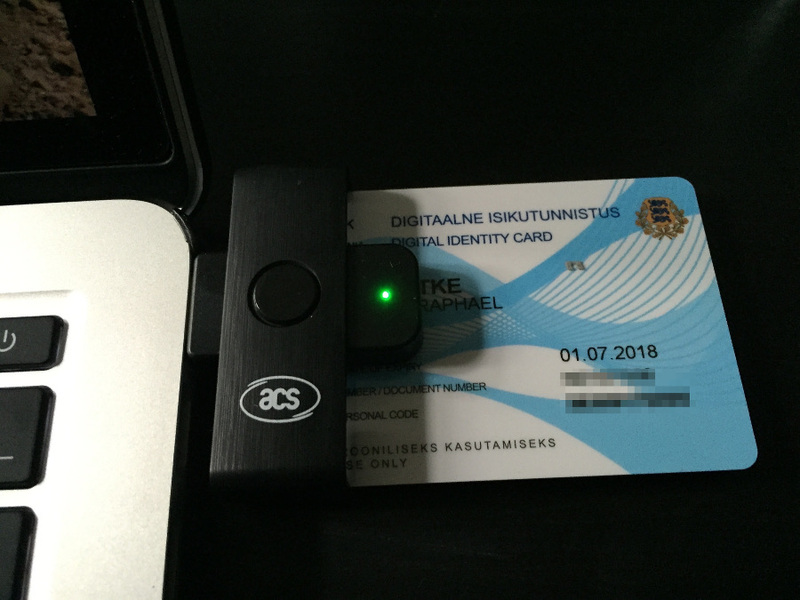 Yesterday I picked up my Digital Identity card (ID card) for my Estonian e-residency. WTF you might say? Let me explain! 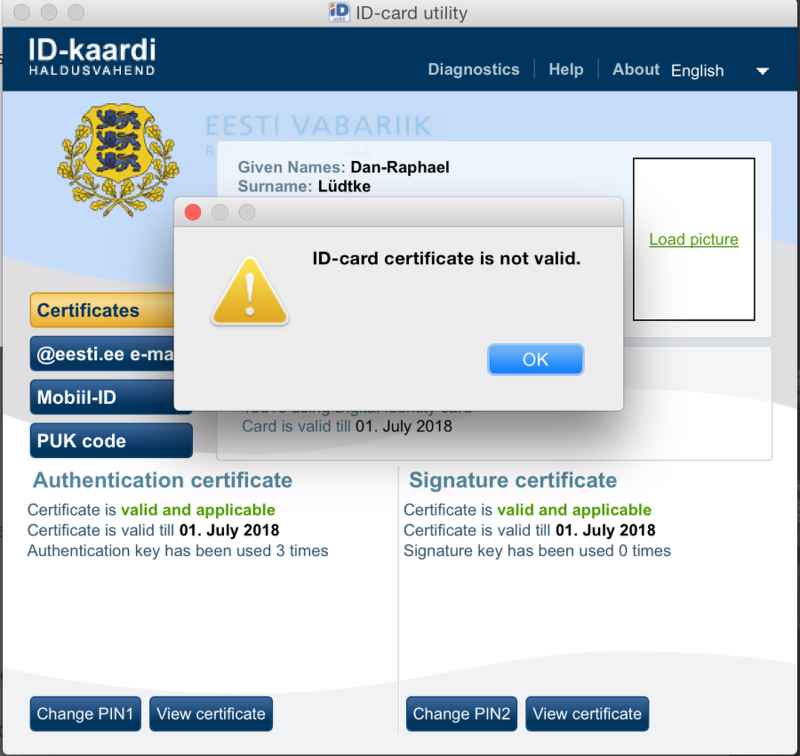 Estonia has a long history of eGovernment and being a digital society, it is said to have one of the most sophisticated technology when it comes to digital identities and the legally binding signing of personal and administrative documents. The small, Eastern-european country, which suffered from but survived a cyber attack in 2007, is now exporting it’s expertise in digital identity and eGovernment. And that is what Estonian e-residency is all about: Providing digital identities and ID cards, very much like the ones Estonian residents get, to citizens of other countries. This enables every ID card holder to use services provided by state agencies and the private sector in Estonia. 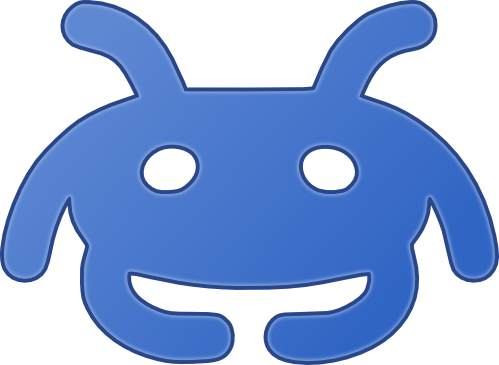 Running an EU-based company from abroad, without ever having to appear in a bank or at a local office, has never been easier. E-residency is a success story expanding, it is basically the German Neuer Personalausweis done right. Picking up the ID card was a straightforward process. I called the embassy last week when I heard about my ID card being ready for collection, made an appointment and then travelled to Berlin. I rang the bell and entered the public area of the embassy. Hint: The consulate office is downstairs, hidden behind more prominent stairs going upward. Yes, it is confusing. Once there, I had to show my passport, sign (by hand, not digitally) the reading and understanding of a document explaining how the ID card works and finally provide my index finger prints. The latter part is a bit tricky, as the reader is not the best. But the embassy staff was friendly and trained to help me through the process. That’s all you have to do, next step is to receive a blue box containing the ID card. After I left the embassy I sat down in a nice cafe and began to examine the box. It contains the ID card, an USB card reader, a copy of the document I signed at the embassy and a sealed envelop with PIN and PUK codes. Distribution of ID cards across Europe and the rest of the world seems to be a manual process. 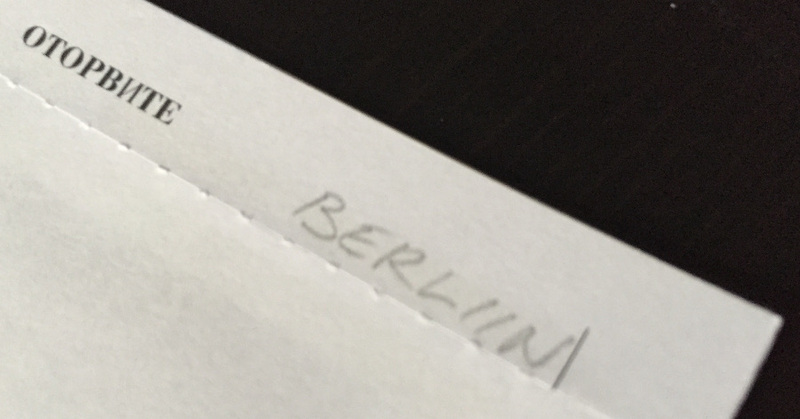 On the PIN and PUK envelope someone wrote “BERLIN” by hand. That could be automated I think, because in the application form you already provide the pickup location digitally. Using the ID card is quite easy. I had to plug the card reader into a free USB slot, install the driver software and then decide what additional software I would like to install. I chose the ID card plugin for Firefox, so I can use the ID card on Estonian websites. Furthermore, I installed the official ID card application from the OS X AppStore. 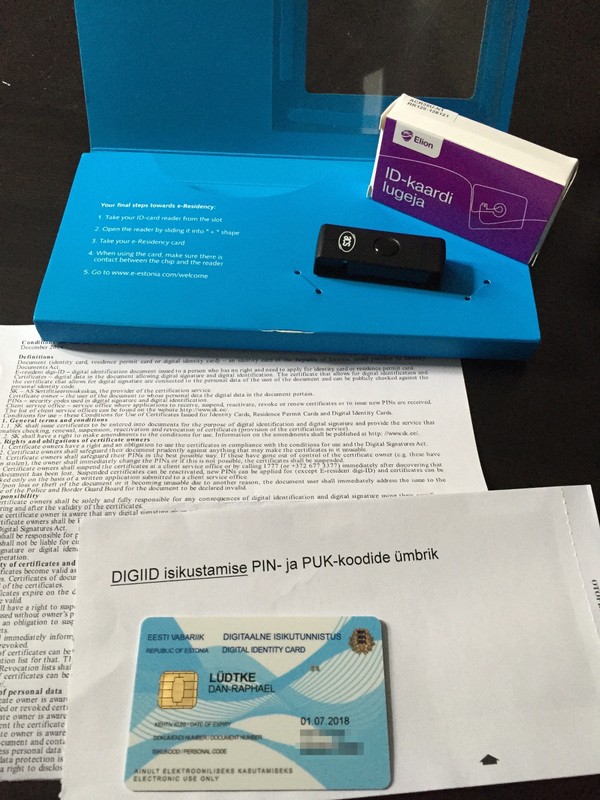 Certificates for e-Resident Digi-ID XXXXXXX have been activated and the document is ready for digital use. I may have been too impatient :) After the activation, which is claimed to take an hour max, I was able to access my certificate. The encryption looks strong enough to me, the algorithms used are fine for digital signing and also the expiration date (2018) is a reasonable choice.